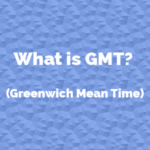 Commonly referred to as “GMT,” Greenwich Mean Time is the time to which the clock at the Royal Observatory in London England is set. Unaffected by Daylight Savings Time, or the various time zones, it is always the same. If for example, the time was 1:25 pm Eastern Standard Time (EST), it would be 6:25 pm GMT. At the same moment, it would be 4:25 pm Pacific Standard Time in California- but GMT would remain the same at 6:25 pm. It was created to help England’s Royal Navy to better coordinate itself. Because various vessels could be in different time zones, it was decided that they could keep track of their activities better, and be more coordinated if they would adopt a common time reference that does not change due to location or season. Because GMT is always the same no matter where in the world you are, it can be very useful for use in real time logging, communications for complex endeavors, and by large organizations. It can be fun to track GMT since it could be dark where you are and still be late morning according to Greenwich Mean Time. Because of its consistency, GMT is used throughout the world. It is used as a time stamp in every single email across the globe for precise monitoring and tracking of communications. Cookies; you know- those bits of software that websites want you to love but your virus scanner is constantly battling with… they all use GMT. NASA uses GMT to coordinate flights, logging, and research data on Earth and in space. Meteorologists, remote automated weather stations, and weather maps are also big users of GMT since weather and weather patterns often cross time zones and need to be tracked in real time from remote locations. News media all over the world use GMT to keep track of breaking stories and to avoid getting timelines out of order when they put their reports together, as do amateur radio broadcasters. 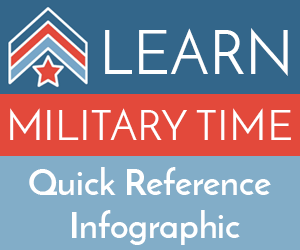 The military uses GMT for more accurate record keeping and to coordinate numerous related activities from a central location. UTC is very similar to GMT as it is a global constant time that does not change for place or season. It is set to the same time as GMT, meaning it if is 6:30 pm GMT, then it is also 6:30 UTC. So, if GMT and UTC are the same, why do we need UTC? The primary purpose of UTC is to be extremely accurate. 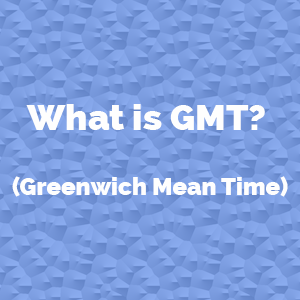 GMT is measured by a clock in London which- while we’re sure is a very good clock- it is not good enough for certain scientific or technical purposes. UTC is the international time on which Internet-based clocks work. It is also known as International Atomic Time (TAI) and is rendered by the most accurate clock in the world, an atomic clock. An atomic clock measures the breakdown of radioactive material to give the most accurate measurement of time that humans have devised. If you want to have some fun, you might try setting your watch to GMT, and see how other people react when they ask you the time!